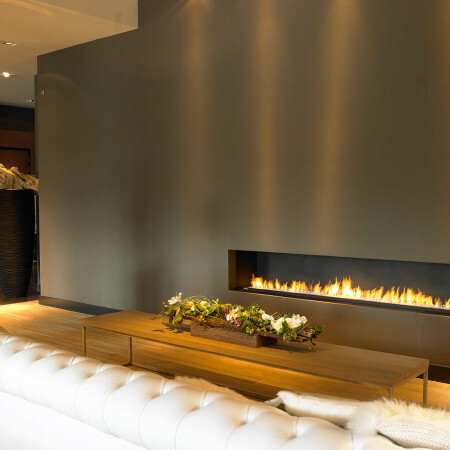 The longest high efficiency gas fire on the market with an overall width of 2.4m, the Mod 240 combines bold, modern fireplace design with high efficiency and high heat output. 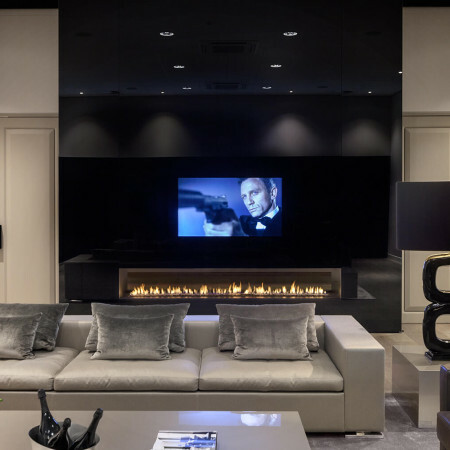 The fully glass enclosed fireplace radiates heat back into the room and the fully remote control operated unit allows full control over the system. With two different flame settings, the flame can stretch the entire opening width or it can be focused around the middle if heat output needs to be reduced. 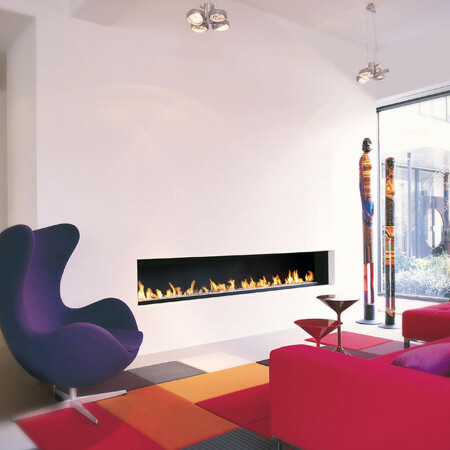 Contact a design consultant to see how this high efficiency gas fire could be incorporated into your project.